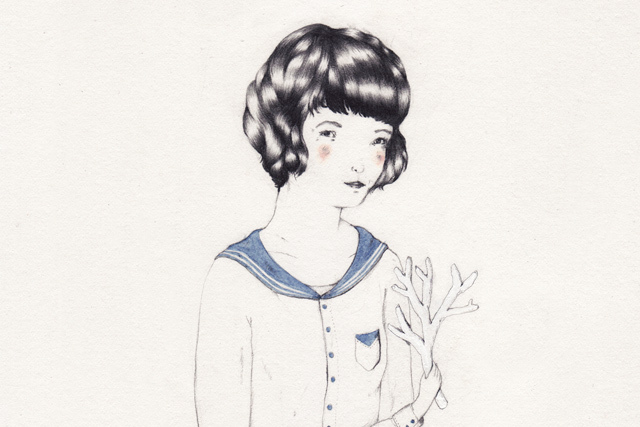 Branch from the White Forest by Sarah McNeil courtesy of the artist. ART: The sugary yet ominous drawings of Sarah McNeil are exhibited tonight at newly opened Queen West clothier Robber. The title of the show, “Other Wild Mammals,” includes ermines, rabbits, wolves, and, hey, people, ’cause we’re mammals too! McNeil also runs a quaint blog where she details recipes for linseed crackers and her daily activities, while featuring her new artwork. Tonight’s opening will have drinks and snacks on hand. Robber (863 Queen Street West), 6–9 p.m., FREE. DESIGN: OpenCity Projects teams up with OCAD and Luminato in an urban space–themed exhibit opening at Xpace gallery tonight. “Icebreakers” (previewed by us on Monday) focuses on the lack of communication between Torontonians, despite the often tight spaces we squeeze ourselves into. (Remember all those times you avoided eye contact with another elevator passenger?) The spaces featured tonight are designed to encourage conversation and bridge connections between strangers. Xpace (58 Ossington Avenue), 7 p.m., FREE. FILM: The NFB, which is celebrating its seventieth birthday this year, is marking the upcoming World Refugee Day on June 20 with a screening of the documentary Everybody’s Children. The film follows two African teens who land in Canada in search of asylum from conflict in the Democratic Republic of Congo and Sierra Leone. Director Monika Delmos will attend and answer questions after the screening. National Film Board (150 John Street), screenings at 2 p.m. and 7 p.m., FREE. COMMUNITY: Velosocial, the monthly gathering for bike lovers at Augusta House, is coming to an end. The night often features a slew of DJs, musical performers, an open-mic session, a screening of bike videos, and, most importantly, cheap pints. Tonight’s gathering is no different, except that it will be the last, so come say farewell to a good thing before it’s gone. Augusta House (152A Augusta Avenue), 9 p.m., FREE. ART: OCAD grad Alex McLeod makes wonderful landscapes that are a cross between an impossibly cute candy land and Myst (a.k.a. the nerdiest computer game of all time). All the work is digitally rendered and three-dimensional with a shiny texture and near-believable depth. His landscapes have churned up tons of love across the blogosphere, so expect a significant turnout at the opening tonight. The show runs until early July. Switch Contemporary (2217 Dundas Street West), 7 p.m., FREE.